Our family's go to quick lunch or dinner is a cheese crisp. The kids love them and they can be made fancy with extra ingredients or simple with just cheese. 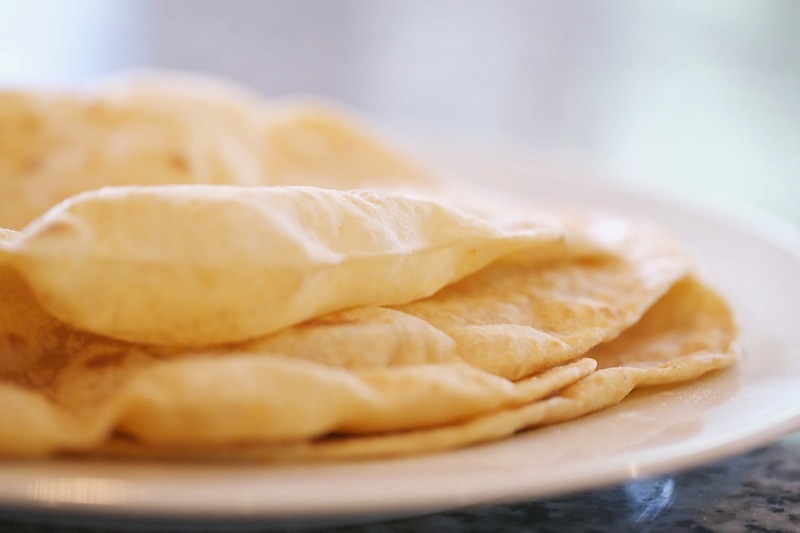 That means we go through a lot of tortillas and although they aren't particularly expensive, these homemade ones can be made for even less and you can make a big batch and freeze them for later too. 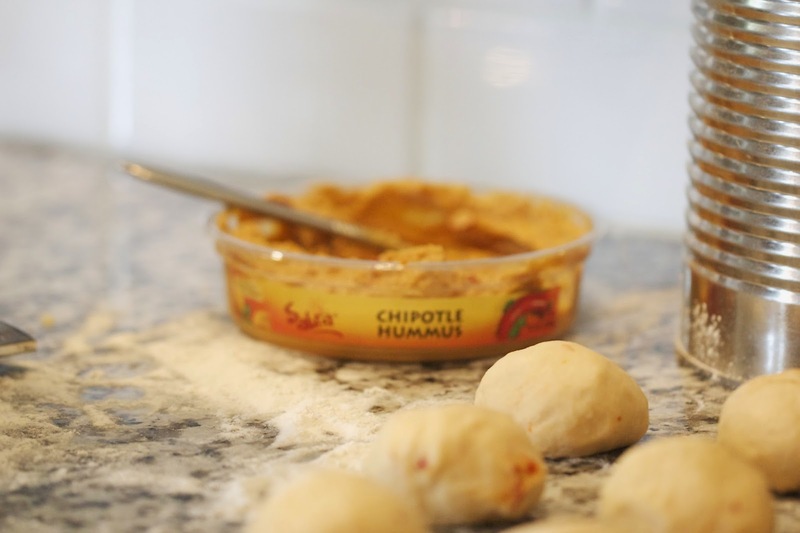 Try these out with some of your favorite Sabra varieties and let me know which you like best. Combine the flour, baking powder and salt in the bowl of a stand mixer and stir to combine. 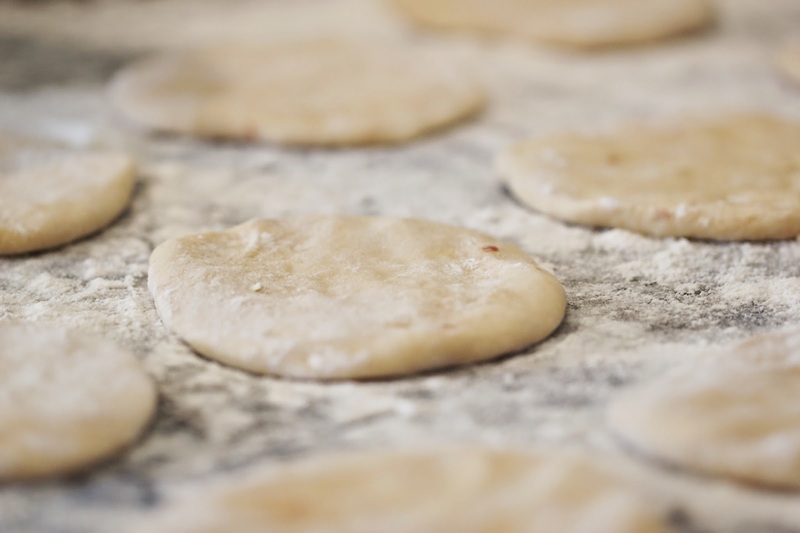 Add the oil, water and hummus and using the kneading hook, mix until the dough comes together, adding additional flour to until the dough forms into a ball. Continue mixing for two minutes. 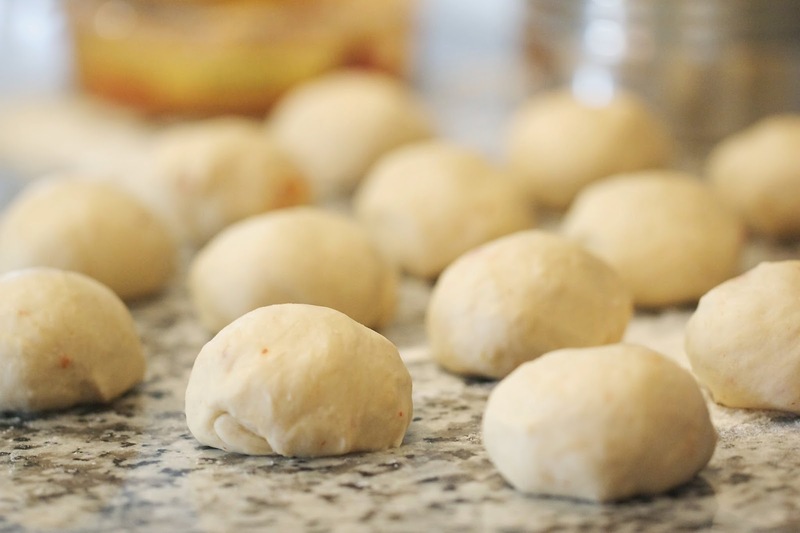 Remove the dough from the bowl and divide into 16 portions. Flatten each ball with your hand to a small round disk. Cover with a kitchen towel and let rest for 15 minutes. Roll each disk into a 6-8 inch round. Heat a medium pan over medium high heat. Place one round in the pan and let cook until the dough starts to show bubbles and the bottom is just starting to brown, about 1 minute. Flip it over and cook for an additional 30 seconds. Remove from pan. 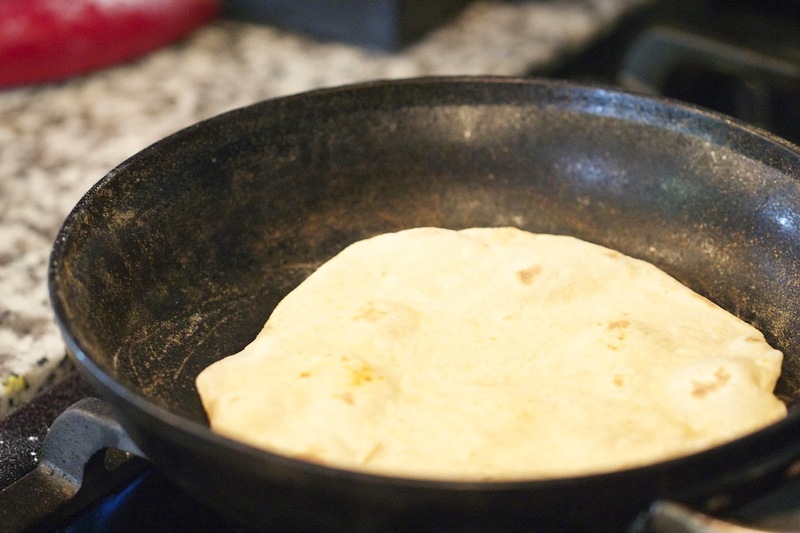 Repeat with remaining tortillas. 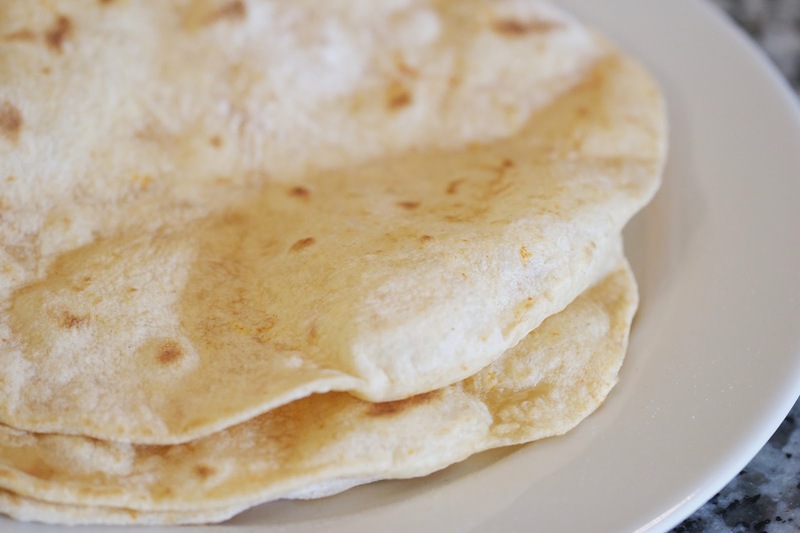 You can store the cooked tortillas in a freezer bag. They can be kept at room temperature or frozen. To reheat, you can microwave them or heat again in a warm pan. Wow. It's amazing how easy this recipe is. Thanks for sharing it. Can another flour be used in this recipe (like chickpea flour or a combination of wheat-free flours)?